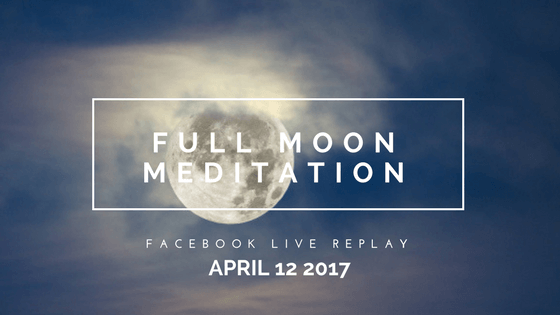 April’s Full Pink Moon debuted on Tuesday the 11th, and we celebrated on Wednesday evening live on Facebook with a powerful meditation to call forth spring blessings. Thankfully, the full moon energy stays potent for three days after the official full moon, so you still have today to take advantage of its energy and carve out time for meditation. If you weren’t able to tune in live with us on Facebook, you’ll find the replay video below. Women’s periods have been tied to the moon and the lunar cycle for literally thousands of years. And before modern times, women knew how to harness the power of the moon to enhance their fertility. After all, the moon controls the ocean–why not women’s bodies? In truth, not only does the moon guide the phases of the female menstrual cycle, it also contributes to a woman’s peak fertile time, called your natal lunar fertile phase. We discovered this second fertile time because of women conceiving outside their expected and charted hormonal ovulation period, like getting pregnant on your period. In the 1950’s evidence was compiled to show that actually, a woman may have two fertile times during her menstrual cycle: the first occurring when she ovulates and the second according to her lunar phase fertility period. I’ve created a training that shows you step by step how to harness the fertile power of the moon based on your peak fertility. Whether you’re on a Red Moon or White Moon cycle, whether you bleed with the full moon or ovulate with the full moon, the Lunar Conception training can double the fertile power of your cycle. And if you sign up before Saturday at midnight, you get a sweet deal of $35. Afterwards, the price goes up to $47.